Looking for a simple way to drastically change and improve the look of your existing kitchen cabinets? The fastest and most economical way to improve the look of your kitchen cabinets is by simply replacing the cabinet doors. Replacement Shaker cabinet doors offer a great visual impact to the look of your existing kitchen cabinets. Replacement cabinet doors can be custom made to fit your cabinets. They cabinet be made out of solid wood or MDF (medium density fiberboard) or a combination of a solid wood cabinet door frame with an MDF center panel. This is recommended over one piece MDF cabinet doors due to its great strength and rigidity and hinge screw holding power. This combination of wood frame with MDF panel gives you the best of both worlds and is much easier to paint and provides a cleaner looking finished product. Replacing Shaker cabinet doors can be a relatively easy do it yourself project. Really all that is needed is a powered screwdriver or drill with a screwdriver bit. An old fashioned screwdriver will work, but there are typically a lot of screws holding the hinges on in the average kitchen so a powered screwdriver will greatly speed up this process as well as save your hands and wrists. New replacement Shaker cabinet doors can be purchased with modern European style hinges already pre-bored onto the cabinet door frame, as well as these European hinges can be included with your new replacement Shaker cabinet door order. This will save a great deal of time when you install your replacement Shaker cabinet doors on your cabinets. Most of these European cabinet door hinges have adjustment capabilities so you can fine tune the exact fit of your cabinet doors with perfection. This is especially helpful when you have two doors that meet together over a large cabinet opening, you can dial in the gap very easily, and this procedure could take a bit of time to do correctly using any other type of hinge. Replacement Shaker cabinet doors are a very economical way to update the look of your kitchen cabinets. Replacing cabinet doors can cost a fraction of what it would to hire a refacing company to do the work. Replacing cabinet doors is much simpler and less time consuming than replacing your kitchen cabinets, where you could have plumbing, electrical, sinks and countertops to have to replace as well. 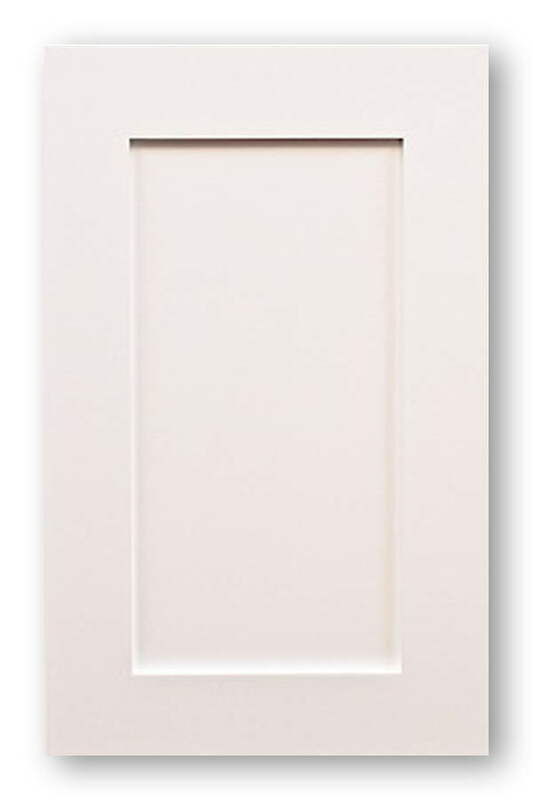 There are virtually endless styles and designs of replacement Shaker cabinet doors. Everything from recessed panel, Shaker style, raised panel, bead board panel, applied moulding, just to name a few. All of these doors can be had in solid wood as well as paint grade materials. If you are happy with your kitchen cabinet layout and are seeking a simply way to make a drastic visual change then replacement Shaker cabinet doors may prove to be the right choice for you and your next remodeling project.